Pen & Ink caricature by Troy Jones. 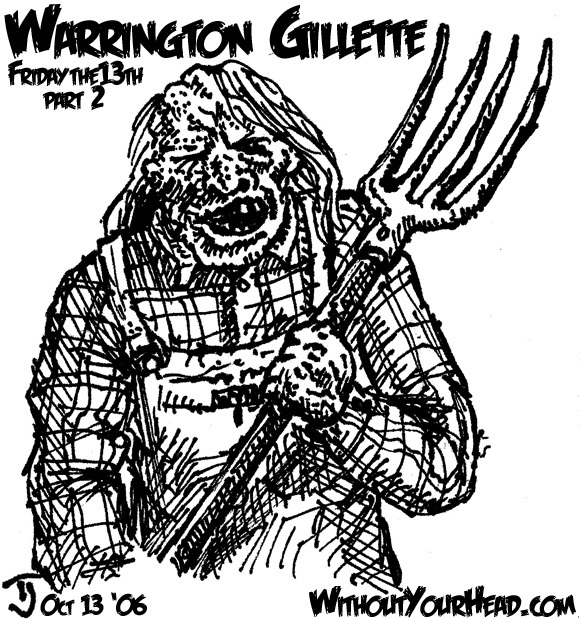 Warrington was part of our first ever Friday the 13th special. Listen now in the audio archives !! !